After finding success in its first year, “Celebrity Fight Night in Italy” with Andrea Bocelli will return for a second turn, this year taking philanthropic donors and special guests through Florence and Rome, where they will be treated to the very best arts, entertainment and culture in the region. Celebrity Fight Night, a star-studded annual charity event, has raised nearly $108 million for many charities throughout its 21-year history, most significantly the Muhammad Ali Parkinson Center at Barrow Neurological Institute in Phoenix, AZ. Upon arrival in Florence on Thursday, September 10, guests will be treated to a cocktail reception and live entertainment from the renowned chamber musicians of the Maggio Musicale Fiorentino at the new boutique of Florentine watchmaker Officine Panerai adjacent to the iconic Il Duomo Cathedral. Then, Andrea Bocelli will welcome guests to the Panerai sponsored dinner in the Accademia Gallery under the gaze of the most famous sculpture in the world, Michelangelo’s David. Award-winning Italian pianist and singer Raphael Gualazzi will provide musical accompaniment for the evening. On September 11, after a day of personal exploration in Florence, guests will leave for the scenic drive to the coastal resort town of Forte dei Marmi, where Andrea and Veronica Bocelli welcome everyone into their home for an unforgettable night. Recognized for its history of sales to celebrities and royalty, world renowned fine jeweler Cartier will present this evening that includes a beach sunset aperitif at Bagno Annetta, a gourmet dinner, and memorable entertainment. David Foster will lead performances by Andrea Bocelli, Reba McEntire, The Band Perry, Ronnie Dunn, Chris Tucker, Leona Lewis, Jackie Evancho, and others. The pinnacle of this seven day experience is the featured gala on September 13, where guests will walk the red carpet in the historical Salone dei Cinquecento at the Palazzo Vecchio. This massive Romanesque fortress-palace is one of the most impressive town halls in all of Tuscany; and it will open exceptionally to host the gala. 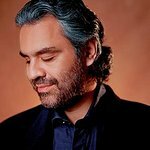 Andrea Bocelli, along with the extraordinary orchestra of Maggio Musicale Fiorentino under the direction of the greatest living conductor Maestro Zubin Mehta, will headline the evening. Reba McEntire and Sharon Stone will receive the Andrea Bocelli Humanitarian Awards on stage during the evening. The following day, guests will be welcomed into the Antinori nel Chianti Classico winery, where they will become part of an adventure that winds through six centuries of a passionate history of producing wine. This unique winery, which proudly recognizes Antinori’s social value, was built with local materials and with great respect for the environment and the Tuscan landscape. Dinner will be presented in the stunning underground aging area call Barriccaia under terracotta high vaults, and will feature a live performance by The Band Perry. The five day experience is sponsored by Keep Memory Alive, PEAK6 – Best Marble, Cartier, Officine Panerai, Ermanno Scervino, Stefano Ricci, Antinori, Jeep, Nikki Beach and Ca’ del Bosco.